I. Mnium (nowadays called Plagiomnium). Mnium (Plagiomnium) cuspidatum is a smooth-leaved acrocarp common on the the soil of banks and on logs in moist woodlands. Mnium (Plagiomnium) has quite wide leaves, similar in form to those of cherry trees in miniature. 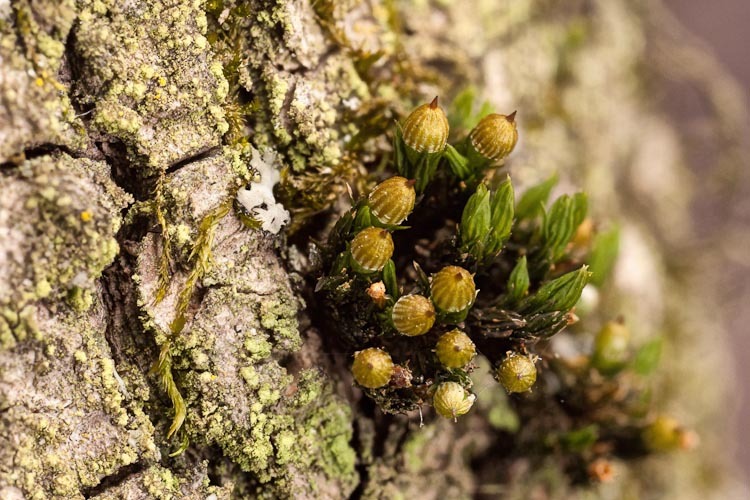 Mnium (Plagiomnium) cuspidatum produces pendant sporophytes atop fairly long setae. Through the microscope, note that the leaves have smooth, isodiametric (equal-sided) cells except at the leaf margin, where the cells are linear, forming a distinct border. The leaves are toothed only along the upper half of the leaf (a trait that differentiates it from other species in the genus). Mnium (Plagiomnium) capsules: pendant (drooping), with double peristome. Leaves: smooth-celled, bordered by linear cells, and toothed 1/2 way down the margin. II. Hedwigia ciliata. Hedwigia ciliata is a papillose-celled acrocarp that has remarkable habitat specificity; it is nearly always found on boulders in woods, where it is quite common. Hedwigia grows on large rocks in woods. Mosses are poikilohydric, directly absorbing water when it is available, but able to tolerate long intervals of dryness when its is not. 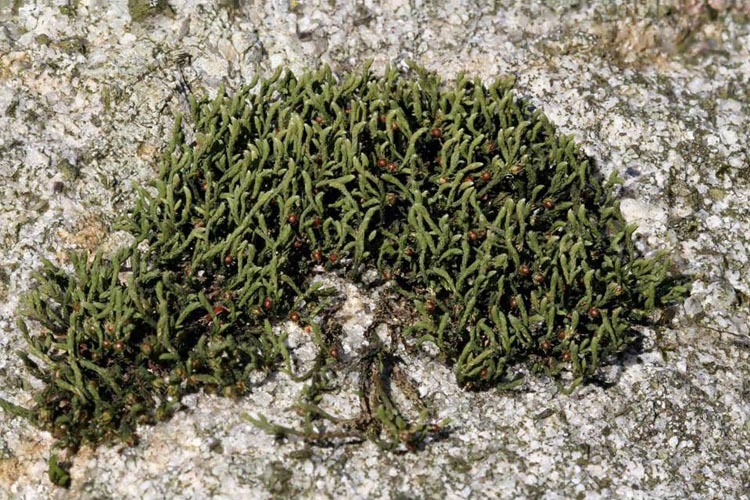 Mosses often acquire a distinctly different appearance wet and dry. Hedwigia is notable for being able to switch quickly between gray and wiry (dry) to lushly green (wet). 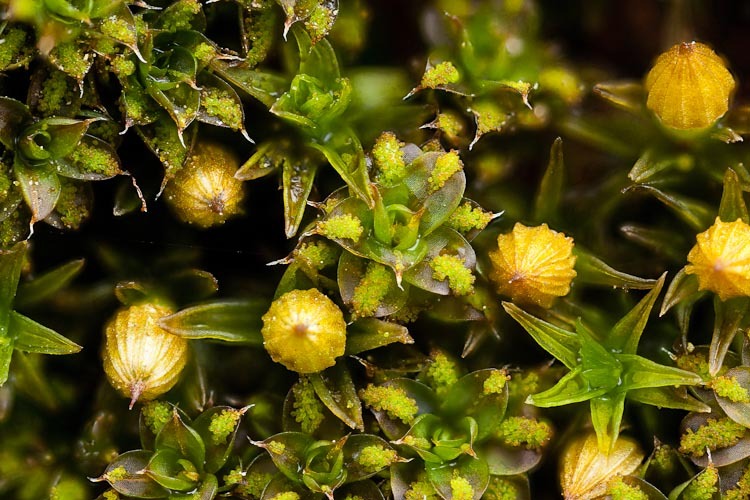 Hedwigia is poikilohydric, absorbing water quickly, and also tolerating drought. Hedwigia leaves, which are snug against the stem when dry, are held out at a wide angle when wet. Hedwigia, when moist, holds its leaves at a wide angle from the stem. The Hedwigia sporophyte is sessile (without a visible seta); the capsule is surrounded by leaves with especially long whitish tips. Hedwigia sporophytes are immersed within the upper leaves. 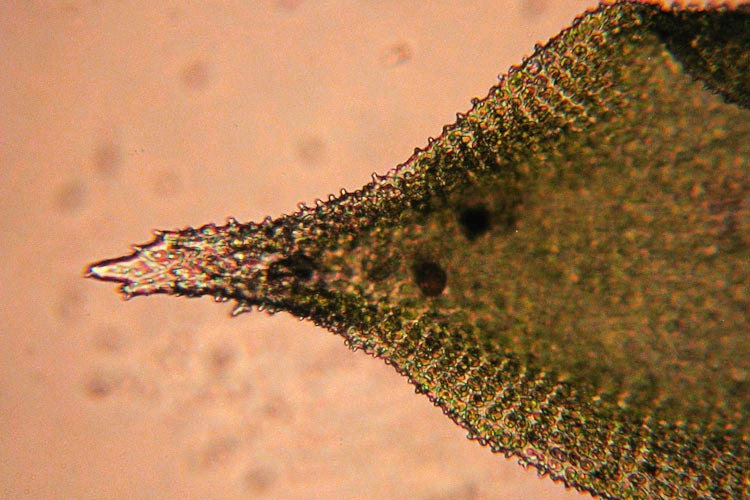 Microscopically, Hedwigia is most distinctive. 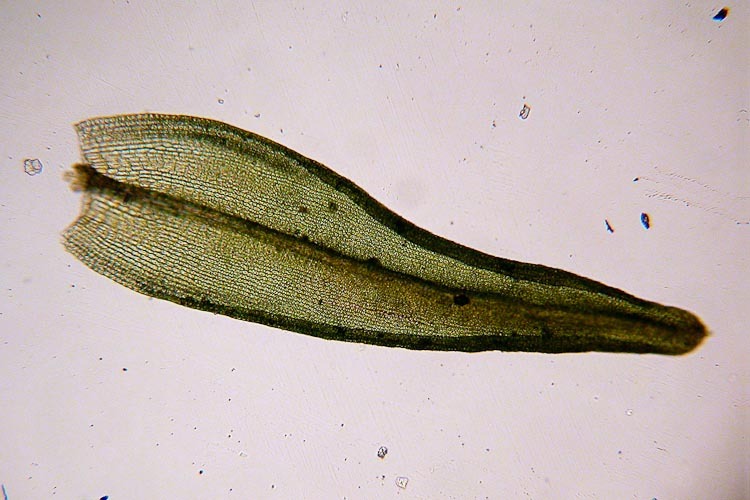 The leaves lack a costa, and are broad and acuminate (tapered to a point) and the leaf tip is hyaline (clear due to an absence of chlorophyll). The Hedwigia leaf is broad, acuminate (tapered to a point), and with a clear tip. 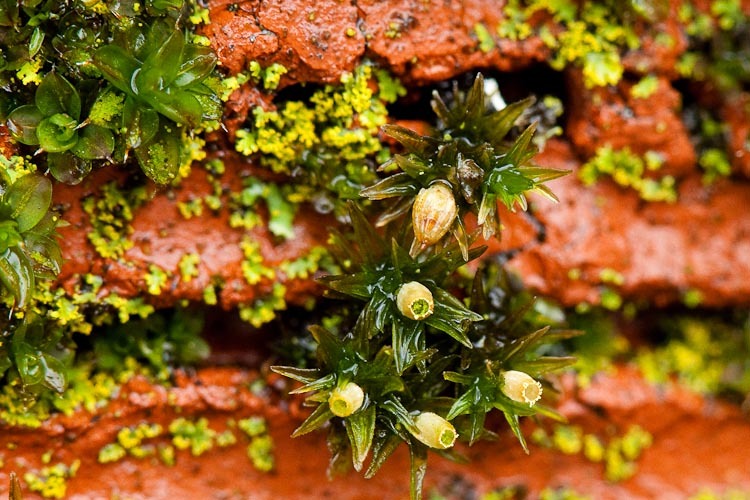 The cells of Hedwigia are sharply unipapillose. III. 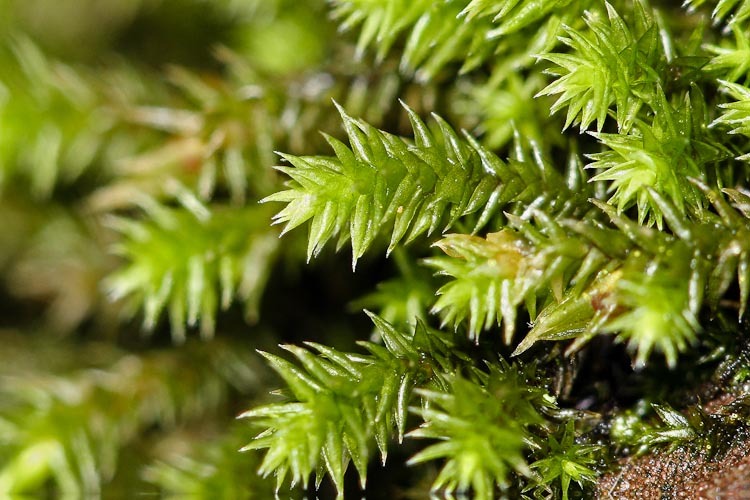 Orthotrichum (various species). Orthotrichum is a genus of slightly papillose acrocarps, most of which have immersed or, in some rare instances, slightly elevated capsules. 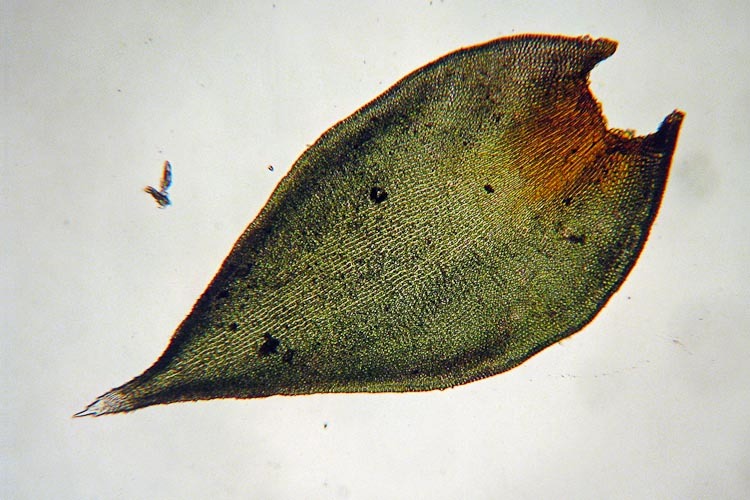 The calyptra is mitrate (conical) and quite large and conspicuous. 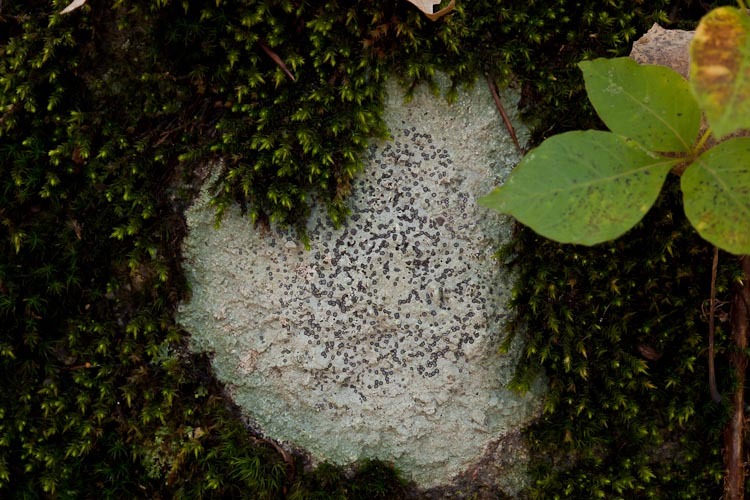 Many species are primarily corticolous (bark-inhabiting), but often also occur on rock or bricks, especially, it seems, when there are trees nearby that also harbor the plants. At least one species, Orthotrichum pumilum, often grows in mixed stands with Syntrichia papillosa. 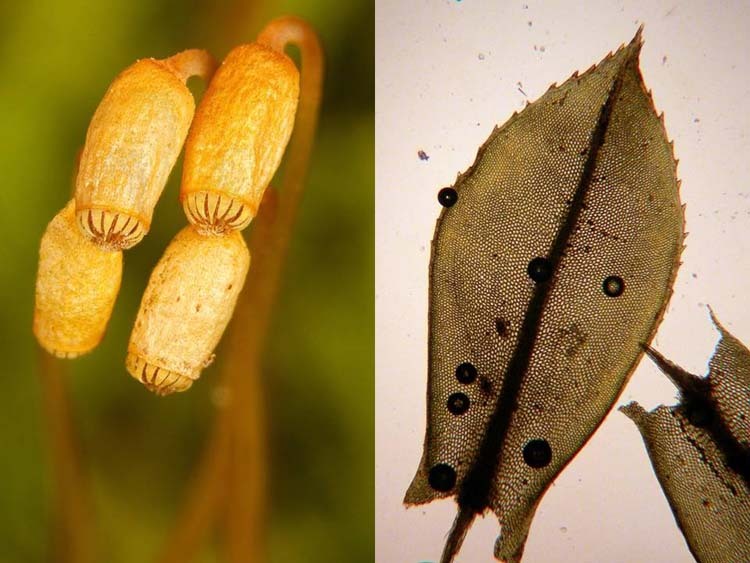 It’s interesting that these two species apparently have a nearly identical ecology, but sharply different reproductive strategies, i.e., via asexual gemmae in Syntrichia, but entirely sexual in Orthotrichum. Orthotruchum and Syntrichia seem like good friends. The capsules of Orthotrichum have a peristome that consists of a single ring of 8 teeth, each sometimes eventually splitting into two, resulting in a 16-toothed peristome. 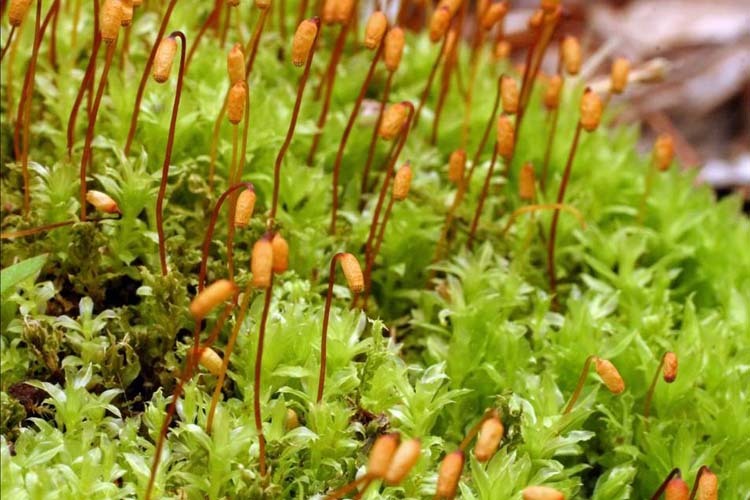 Unlike most mosses, which open their capsule and release spores when conditions are dry, Orthotrichum seems to prefer wet periods for spore dispersal. 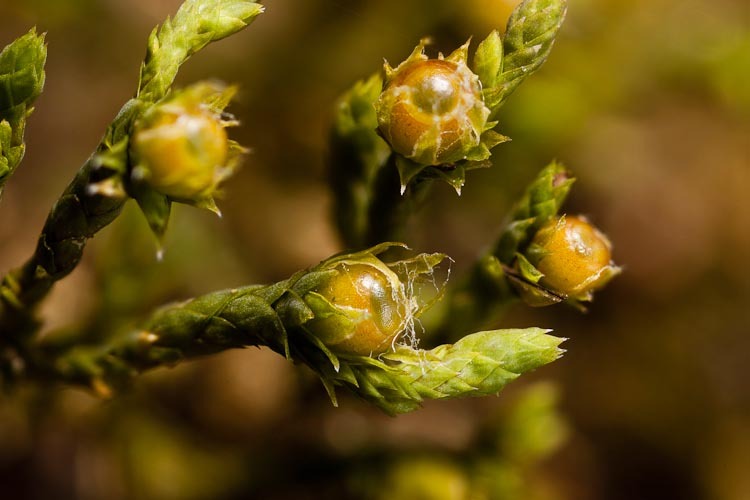 Orthotrichum capsules open when it is wet. Here’s another species of Orthotrichum by itself on a tree.Note the growth in brownish tufts, and the prominent mitrate (cup-like) calyptra. Orthotrichum stellatum is a corticolous (bark-dwelling) acrocarp. Through the microscope, Orthotrichum leaves are broadly lance-shaped, with margins recurved (curled under) and cells that are slightly papillose. Orthotrichum leaves are strongly recurved along the margin.